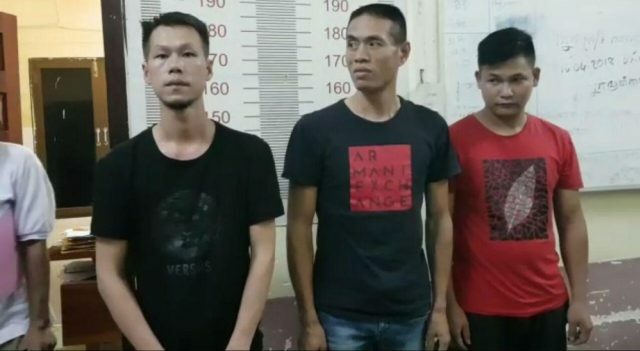 Phnom Penh: Five Chinese nationals used violence and intimidation on another Chinese man who owed US $ 45,000 said police in Phnom Penh’s Por Senchey district on September 14, 2018. 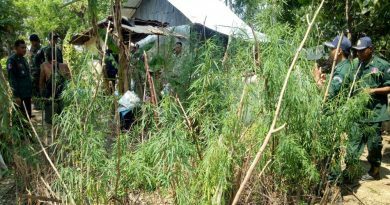 Police Colonel Yim Saran, police chief of Por Senchey, said that the incident happened at 4:30 pm on September 12, 2018 at a location in Chom Chao 3, Khan Por Senchey. The inspectors confirmed that the three suspects were: Chen DongWen, 37, Ehen Qiuzi, 23, and Li QingMou, 42, and two other suspects escaped. The victim, Li Shigang, 47, lives in Doun Keo district, Takeo province. The victim was loaned $ 45,000 and agreed to pay back installments of $ 3,000 to the loan company. However, after some sort of dispute, the five suspects put the victim in a car and attacked him. Later, the victim filed a complaint at the police checkpoint in Sa’ang district, Kandal province. After that, the Saang Police Inspectorate contacted the Por Senchey Police Inspectorate to investigate and arrest the suspects. Three of the three suspects were detained, while two others are yet to be caught. 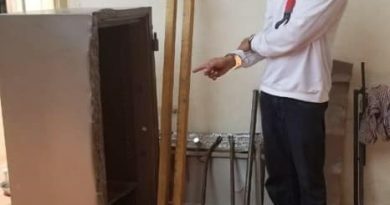 Currently, the suspects are being temporarily detained in the police section of the Porsenchey Police District Inspectorate to proceed with the case.